Vacation Update - At Home and Away: Welcome back! I hope you had a chance to rest and recharge last week. I had an opportunity to go to Puerto Rico for a few days at the very beginning of break. It is an interesting place. A United States territory, Puerto Rico has great culture, and the people are very friendly. Their economy is very poor, so poor in fact, that the state colleges and universities are closed right now, and we saw college students protesting in the streets to be able to go BACK to school. 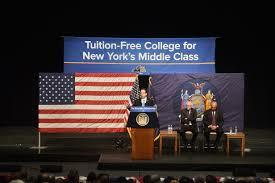 I found that to be a sharp contrast to New York State, where free tuition for state colleges and universities was just legislated! Back at work, it was awesome to read how well our sports teams have been doing, and I can't wait to get to some games this week. The mud is finally starting to subside in the back of the high school and work crews were able to get a great jump on a new roadway from our parking areas to our baseball and softball fields, as well as the tennis courts. Our crews were also able to get the first mow in of all of our properties and everything looks great for students and staff as they return for what will be a race to the finish. Upcoming Dances: We are heading into the Junior Prom (this Saturday) and Senior Ball season (May 12), so now is a great time to remind all of you that is DOES take all of us to help our children to be safe. Anything you can do from words of encouragement and making good choices to helping with the after the Senior Ball All-Night Party can save a life. Thank you. 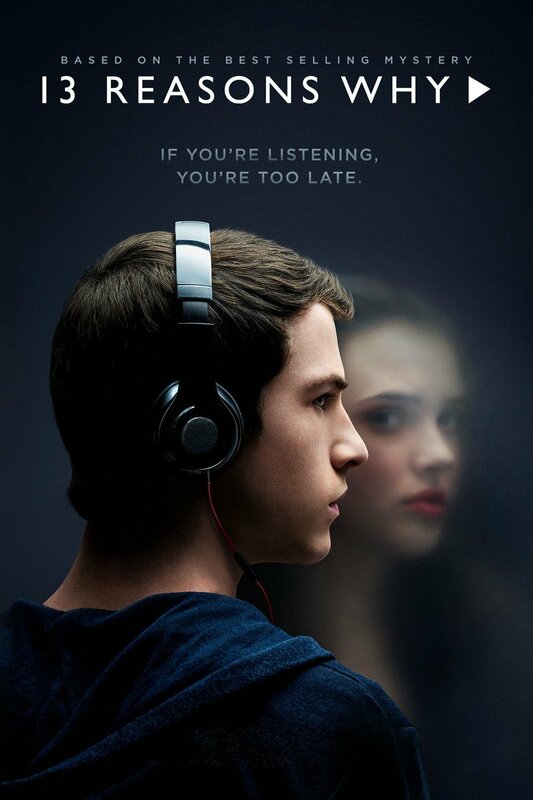 13 Reasons Why: If you are a parent of a middle or high school student and you have a Netflix subscription, chances are your child is watching, has watched, or has been told by you that they cannot watch the series 13 Reasons Why. The book was written in 2007 by Jay Asher (who we have had speak at school in the past), and depicts a high school student who commits suicide and leaves behind thirteen cassette tapes for the people who caused her to make that ultimate choice. The series is very realistic from my perspective and the scene where the main character actually kills herself is very drawn out and very graphic. It has caused mental health professionals from all over the country to release coping guides, suicide hotline numbers, and opinions that the series may cause more harm than good to students who may be struggling with their own mental health issues, bullying, shaming, and just plain old being a teenager in today's world. Please take a moment at dinner to ask your kids if they are watching the series and if they want to talk about it further. All of our counselors and social workers are very aware of the series and can help. I am bringing this to your attention now because the series is getting a lot of attention on social media and national news programs, and I want you to be as up to speed as possible. 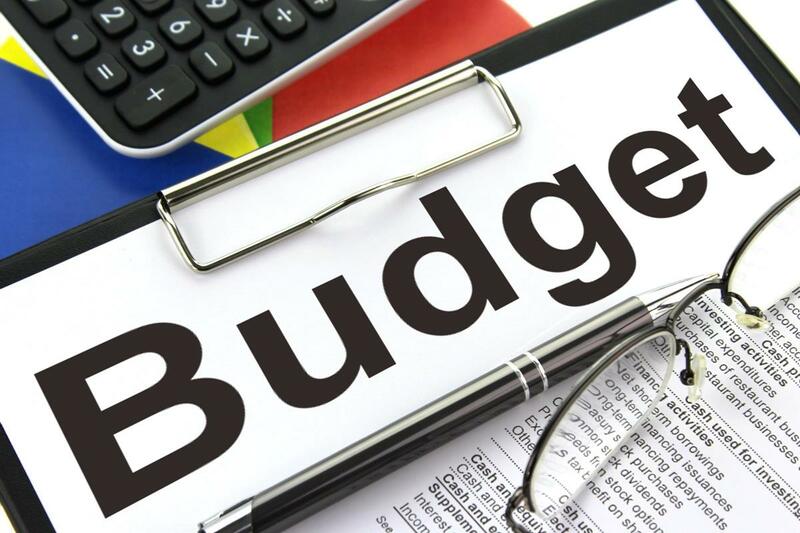 Budget Information: If you aren't busy on Tuesday night, I will be presenting the budget at 7:00 p.m. in the West Genesee High School Large Group Instruction Room. 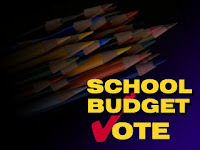 Nothing has changed from what was originally presented to our Board of Education over a month ago, but I will be available to answer any questions you might have about the spending plan for next year. It is amazing what a little sunshine will do for our spirits. I got a couple of good runs in over the weekend, and my wife and I got to enjoy the Syracuse Chiefs game yesterday and really enjoyed the warmth (finally). We need more sun and some wind to try the paths leading up to our baseball and softball fields; but beggars can't be choosers! Robots Roar to Life: I felt pretty old last week. No, it wasn't because of my eye exam that produced a "blended lens" prescription. 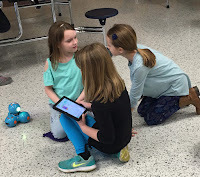 It was watching students from East Hill Elementary School program an iPad with computer code to make a robot roar to life and navigate across the cafeteria floor and to me. It reminded me of 8th grade at St. Ann's Elementary School when I helped to set up a computer lab full of Apple IIe computers and then taught my fellow students a programming language called "Turtle Basic". At the end of that programming class, a small turtle moved four or five inches on a computer screen. We all thought it was the coolest thing in the world. Times sure have changed! State Budget Passes: With the passage of the state budget, many things have become much more clear. First, and in terms of the school budget, we hit the mark in terms of what we thought we were going to receive from the state, so we do not need to make any changes to the budget before the voters consider it in May. What was an interesting add to the budget was the inclusion of free college tuition to state schools for families making $125,000 or less per year. This will make things interesting. I have a graduating senior from a state school and that total bill was approximately $69,000, and another at a private school (more than a state school); so you can see how big of a deal this legislation will be for some families. Many of our students attend Onondaga Community College (OCC) for two reasons: first because OCC is a very good school, and second, the cost fits into more family budgets. The majority of students who attend OCC from West Genesee are also accepted to other colleges but finances make the decision for them. 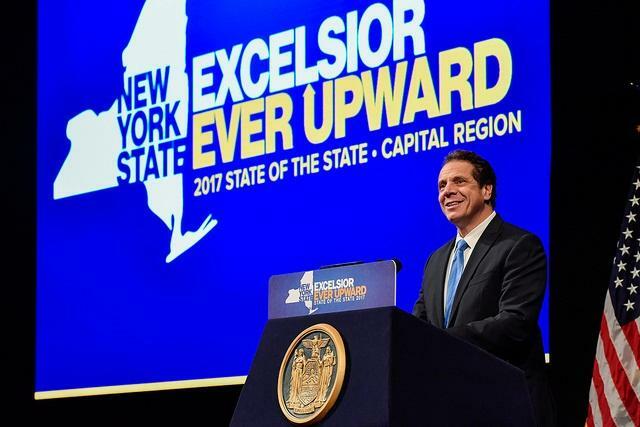 By my estimations, about sixty percent of our families and students will now be able to choose between OCC and a state school for a free college education. This will certainly change the conversation at the dinner table for these families and will probably cause conversations to happen at the community college and state college level. If I was the president of a private school, I would be pretty nervous! What if you are like me and have children who won't qualify for free tuition and who will be paying in some way for other students to go to college for free through my taxes? I am always an optimist and look for the best in everything. Think about what happens when we are given the choice of multiple free things. We look for what else those free things might offer. That instills competition to offer the best "free" things, and everyone benefits. Should be fun watching all of this develop over the coming months, and I will make sure that our school counselors are up-to-date as they guide students toward college, career, and military goals. Go Blue 4 Kids: Today you will see pinwheels in front of all of our buildings in recognition of National Child Abuse Prevention month. We have partnered with the McMahon/Ryan Child Advocacy Centers "Go Blue 4 Kids" campaign. Students raised money for the pinwheels and the money they have donated to the advocacy center will be used right here in central New York for victims of child sexual and physical abuse. 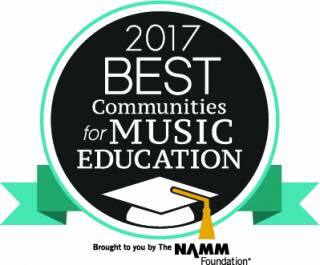 I applaud and appreciate the efforts of our Parent Teacher Associations/Organizations, as well as our students and staff. I am going to take a week off from writing until the Monday we return from spring break; unless there is a reason to write before that. Enjoy the week and have a wonderful spring break! I apologize for the late post, but I wanted to share an important story with you; and on behalf of the Camillus Police Department, ask for your help. Earlier today a parent told one of our building administrators that she saw a suspicious vehicle in the Orchard Village area of our school District. The administrator immediately contacted our School Resource Officer, who is also a Camillus Police officer, and he began an investigation with the help of his fellow officers. At approximately 7:30 p.m. this evening I was notified that the driver of the suspicious vehicle was apprehended and is being investigated. The investigation is ongoing, so I am not at liberty to give any further details at this time and questions should be directed to the Camillus Police Department. Please ask your children if they were approached by any strangers recently, and if they were, please contact the Camillus Police immediately to help them with their investigation. Thank you to the parent who saw something and said something, as well as our administrators and the Camillus Police for quickly working together for the safety of our children. I hope that everyone enjoyed the weekend. The weather is finally starting to turn for the better, and I got to run in shorts for the first time in a LONG time. Girls and Boys Lacrosse are both off to solid starts (keep an eye on both teams this season), and we hope to get baseball (looking forward to throwing batting practice to them), softball (going to try to hit a fast pitch softball), girls golf (going to try to beat them at a practice this spring), and track (going to try to run a 200m with the kids) off the ground shortly. West Genesee Musicians Invited to Eastern Regional Concert: Last week we learned that two fine arts students, Julia Musengo and Kevin Buff were selected to perform at the 2017 Biennial Eastern Division Concert. That is a "big deal" as they say. It is rare for a school to have one student selected, let alone two. We are proud of these two students and their accomplishments will add to the storied history of our Fine Arts department overall. Honoring the Past: When I teach courses about leadership, I tell people that it is important to respect the past but represent the future. Someone that deserves to be respected in our history is Bruce Burritt. Fifty years ago, Bruce led the first Wildcat Band into competition. Through his time as Director, the band won multiple NYS and National championships. 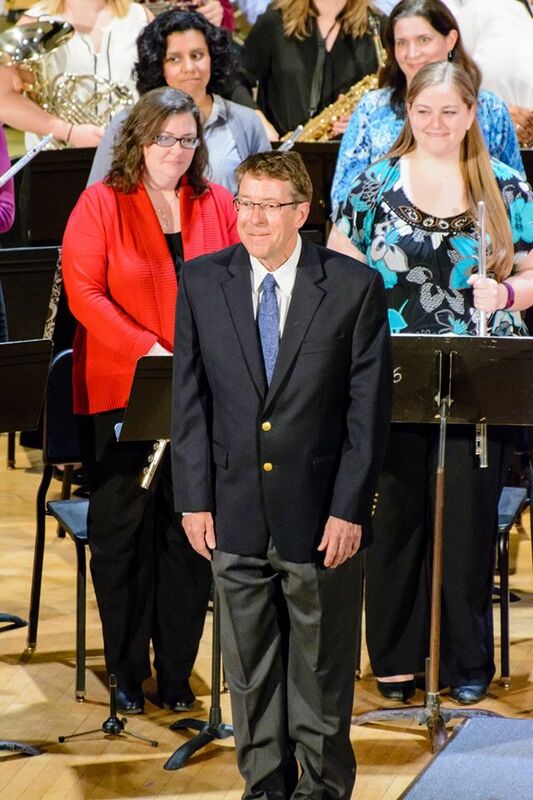 Mr. Burritt also led the West Genesee Wind Ensemble to state and national acclaim. 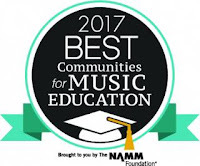 His legacy has endured as his students, Andy Perry (Nationally published and accredited) and Bill Davern (Director of Fine Arts and recent winner of the 2017 Outstanding Educator of the Year Award through SAANYS), have continued to maintain a tradition of excellence with the Wildcat Band and Wind Ensemble. Bruce was recently inducted into the Bands of America Hall of Fame, an incredible honor. Community Band: Mr. Perry has been working on a special project that I am certain both Julia and Kevin could be a part of once they graduate called the "Community Band". With over seventy members from many graduating classes, they played their first performance last month to over six hundred people. They are awesome, so keep an eye out for word of their next performance which should be some time in May. Reminder to Make Good Choices: With the weather finally changing to spring, students (and us for that matter) turn from being stir crazy to being a little wild and crazy sometimes. If you are a parent of a teenager, this is the PERFECT time to have a conversation with your kids (and yes, they may think you are nagging them but that is okay; it is worth it) about making good choices, being careful about driving and about being passengers with friends they may be driving with. What I have found with this generation of students, is that threatening them and using negativity does not work; talking about shared responsibility does. We are all in this together, so let's work together to keep them safe!